One of the things I love about God is that He never stops bringing a wow factor to everything He does. When He answers our prayers, it is always in an awesome way. He never disappoints! We asked you to pray for our Christmas outreach on December 15th. Let me tell you how God has answered our prayers this time! 1. 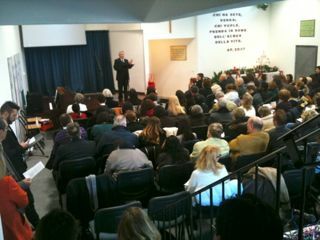 Over 200 people were in attendance, many of them unbelievers, and of those, many for the first time. 2. 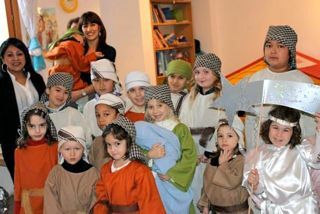 Our children’s ministries continue to grow and reach more children and their parents. 3. Our choir continues to mature musically and in its spirit of sacrifice for Christ, for each other and in their heart for the lost.As parents, we were very proud to see Noah on stage participating with the other children for the first time. As a pastor, it was a joy to see so many people involved in serving, whether the teachers, the choir members, the greeters, or those serving refreshments. The Centro Evangelico Battista certainly came alive! – As our messages are televised, I have had several opportunities to share with people, having recognized me from television! The other day we went to take Eva to get her shots. We gave a Bible calendar to the pediatrician in charge. After thanking me, she told me that she watches us on television every day! – While at the post office, the clerk asked me if she knew me from somewhere. Her co-worker was quick to respond: “Of course you do! He is on television every day!” Of course that was an exaggeration…I only fill in preaching once in a while, but people are watching! We have the opportunity to celebrate New Year’s Eve with a couple of friends we care about very much. Pray that we can make the most of this opportunity. I have suggested that we begin the year reading Ephesians together. This is a bold move, considering that years ago my friend asked me not to talk about my “religion” with him. But God is working! God is working…above and beyond our imagination. YOU CAN PRAISE GOD because he answers to our prayers! and YOU CAN MAKE A DIFFERENCE through your praying. On the notes of “Go, Tell It on the Mountain, we wish you all God’s blessing as we start the new year. 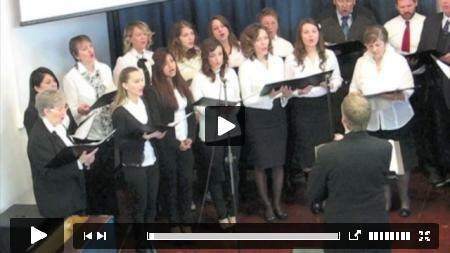 This entry was posted in Life in Italy, Outreach, Praise and tagged Choir, Christmas, Outreach by jonathan. Bookmark the permalink.